A hardware themed Tuesday Tooling this week! 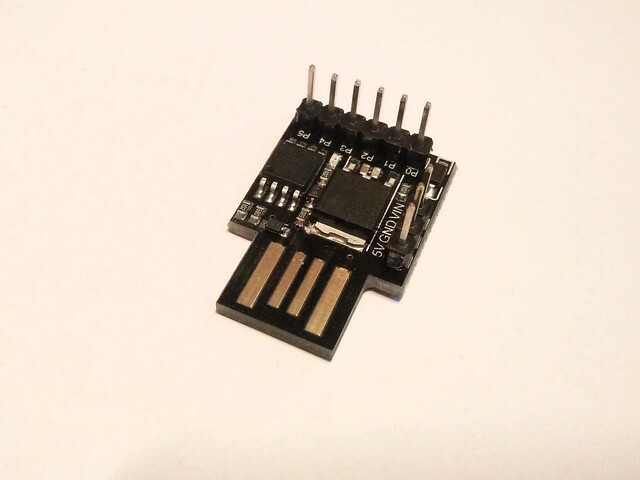 A tiny microcontroller that is compatible with the Arduino IDE. It comes in many different forms, some connect via micro USB, some direct into your USB port. 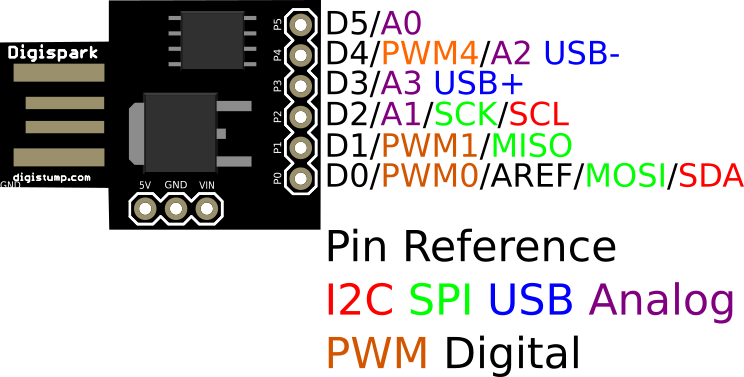 This is a Digispark clone board that connects directly to USB, note that sometimes these can be wobbly in your USB port. 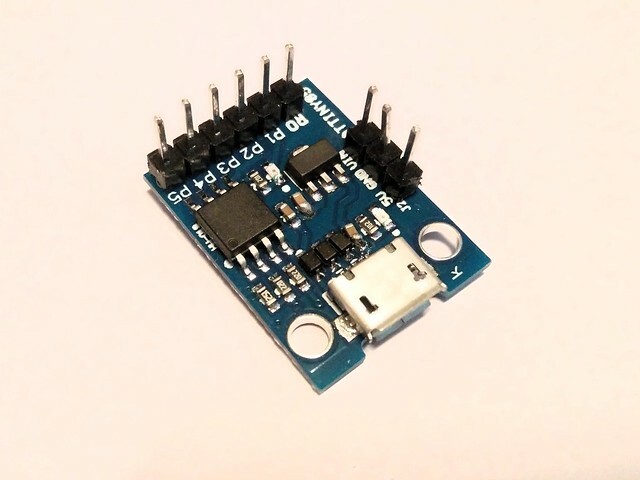 The ATtiny85 may only be tiny, but it can provide many of the functions found in much larger microcontrollers. I bet they aren't cheap? You are sooo wrong, these retail for about £2! You can purchase them from Abx Labs, a UK based seller who travels from Maker Faire to Maker Faire selling cool and cheap electronics. I've written an introduction to using the ATtiny85 for the Electromaker website. 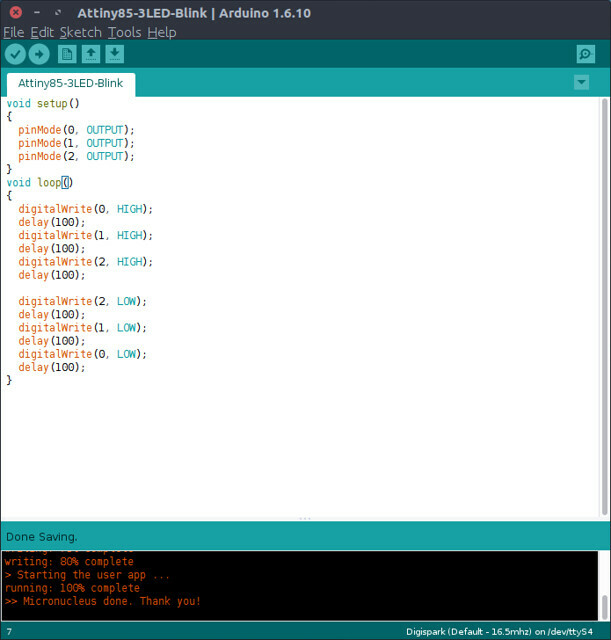 In the guide I show you how to configure the Arduino IDE to use the board, then we create a simple demo project using a few LEDs. Pick one up, have a go, it'll cost you less than a skinny macchiato latte with those posh little biscuits.